The fighter of the decade in the 2000s, Manny Pacquiao is still going after it, and he dreams of getting a rematch with rival Floyd Mayweather. In his last bout Pacquiao scored his first stoppage win since 2009, defeating Lucas Matthysse in the seventh round last July. And with that impressive showing over the somewhat stale and eroded Matthysse, Pacquiao has, in the eyes of some, turned back the clock and suddenly become a legitimate threat once again to anyone in his division. Whether there’s truth in that, we can’t be sure. But Pacquiao is facing the ideal opponent who could help sustain that view—former titlist Adrien Broner. On Saturday, Pacquiao, 60-7-2 (39), will defend his secondary WBA title against the former belt holder Broner, 33-3-1 (24). The last time Broner was in the ring he again squandered a fight by being held to a draw by the less-talented but determined Jesse Vargas (who went the distance with Pacquiao, losing by unanimous decision). So, based their respective performances against Vargas, and Pacquiao’s strong showing against Matthysse, most observers assume Pacquiao will take out Broner impressively. And after a one-fight separation, Pacquiao has been reunited with Freddie Roach, who is working with Buboy Fernandez and overseeing his training. Roach says this before every Pacquiao bout, and at least from 2009 to 2017 he was mostly right. The reports of Pacquiao looking great during sparring are always out there—but that’s mainly because he’s an offensive fighter and will always look great against sparring partners. The question is, has Manny has become reinvigorated because he believes he has a shot at getting a rematch with Mayweather if he can blitz Broner? Blitzing through Broner won’t be as easy for Pacquiao as some may think, however, as Broner is gifted physically and blessed with speed, power, and strength. The critical assessment of him is that he’s lazy, that he doesn’t like to train, and that he has a low boxing IQ. Accordingly, Broner rarely fights for more than thirty seconds per round because he lacks urgency and often can’t think of what to do—as shown by his unimaginative offense. But he takes a good punch and is great at slowing the pace and forcing superior opponents to pick their spots (versus his having to work for an entire round). And this time Broner may show up in great condition because he knows he won’t get another high-profile fight if he mails it in again against Pacquiao. But the difference between the two fighters is that Pacquiao is harder and tougher inside and out. Keeping pace with Pacquiao may not be as hard as it would seem at first thought. In many of Pacquiao’s bouts before beating Matthysse, Pacquiao wasn’t applying effective pressure from bell to bell. He fought in spurts and cut loose a few times and that usually won him the round. Then, against Matthysse, he was more deliberate and busier. But that probably had more to do with Matthysse than Pacquiao. It’s unclear, then, whether Pacquiao is even close to being the same fighter who ruined Ricky Hatton and Miguel Cotto. Against a fighter like Broner, who rests and postures through much of the round, there should be openings for Pacquiao to overwhelm him with his offense—and that’s the plausible scenario. Yet few mention that Pacquiao isn’t hard to find with straight shots. Throughout his career Pacquiao’s offense has mostly been his defense, but he is indeed hittable with straight shots. And when Broner is on his game, he can throw crisp straight shots in succession. When that has happened to Pacquiao in the past, he never adjusted and continued to simply rush in and out, believing his chin would hold up, which it usually did. But he just turned forty and he’s logged a lot of ring miles over the years. And for the last five years or so, you could argue that Pacquiao could lose to any good fighter on a given night and that is still true today. When the fight was signed many observers thought this should be an easy fight for Pacquiao because of the reasons mentioned previously. Broner, moreover, is typically undependable on fight night. 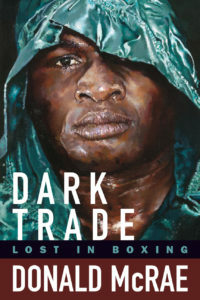 He can’t be counted on to come into the ring in top condition and he usually breaks under pressure—which means he accepts that the fight is more difficult than he anticipated and therefore turns it into a non-fight. And if he does that, will Pacquiao push for the stoppage, or be content to win a lopsided decision? And then challenge Mayweather after the fight? With Broner’s career on the line don’t be surprised if he shows up intent on giving a great effort—and that’s the problem because you never know if or when that night is coming. Broner is usually satisfied losing close and bragging how his opponent didn’t obliterate him (versus doing what it takes to win a fight). In other words he’s content being viewed as a fighter who belongs among the elite but not being the alpha among them. And though Pacquiao isn’t the fighter he was against Hatton and Cotto, he’s never been someone who gave up or stopped trying to win—and that’s the biggest difference between them. Fundamentally Pacquiao is the better fighter but he and Broner are matched closely when you look at their skill set. The difference is they have a different motor propelling them. Broner is complacent losing close contests, while Pacquiao knows only winners are celebrated in boxing. 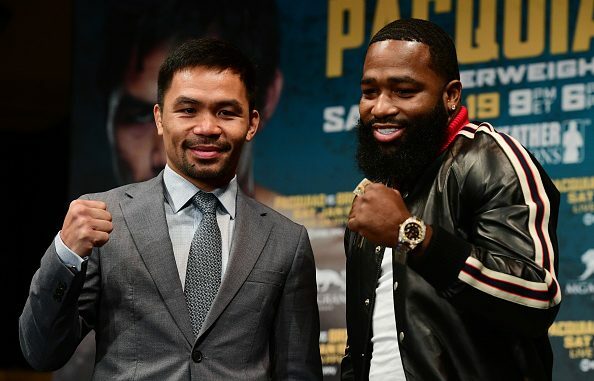 For Broner to win he has to take the fight to Pacquiao and answer every exchange—but that requires work and some give-and-take and Broner has never shown he can do that when he has an elite opponent in front of him. So, basically, Pacquiao has to lose the fight. For Broner to win, then, Pacquiao will have to make a big mistake or become an old fighter during the bout. Because we know Broner isn’t going to create or set up anything other than some occasional offensive outburst when he senses Pacquiao is reloading. And Pacquiao will need a few rests along the way. But other than that, he’ll remain consistent and will surely keep both mental and physical pressure on Broner—and that should do it. The question is, can Manny get the stoppage he says he wants? No, more likely the fight goes the distance and Broner is once again a gracious loser.